NCAA Division I, NAIA, and NJCAA collegiate volleyball kicked off this weekend with great match ups all over the country with High Performance Alums playing at all three levels. In NJCAA action, Mineral Area College went 4-0 in the Kankakee CC tournament in Kankakee, IL. 2016 Alums Pamela Zuluaga and Cailey Bracken figured prominently in all four wins. Bracken, pictured right, was named to the All Tournament Team for her efforts in the four victories. Missouri Baptist started the season as the #2 ranked team in the NAIA and they kicked off their campaign in Florida at St Thomas. Class of 2016 Alum Kelly Wilson led the Spartans in kills with 9 in their win over Johnson and Wales University at the St. Thomas Invitational. Lots of Hi-P alums started their seasons in NCAA DI volleyball as well. Kennesaw State’s setter Kristi Piedimonte (Class of 2014) got off to a hot start with a Double-Double in a 5 set loss to Mizzou. 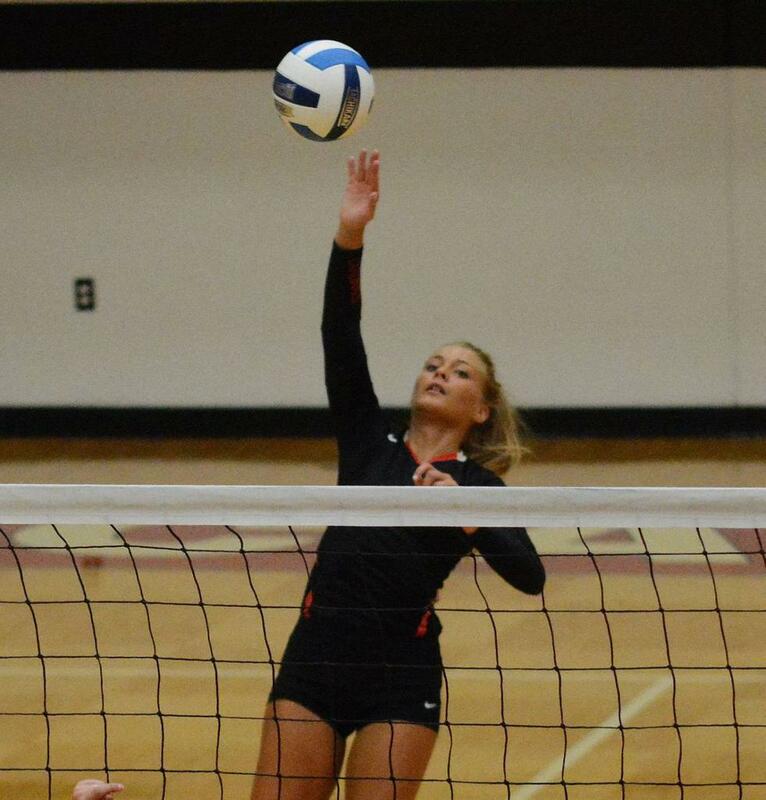 Kristi dished out 40 assists and collected 10 digs in the battle with the Tigers. 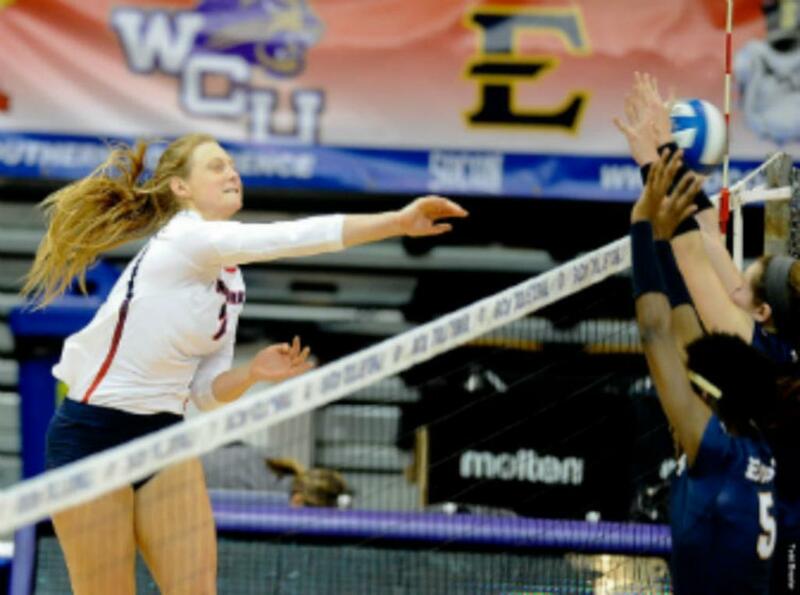 Samford’s Erin Bognar (Class of 2013) had a breakout match in a win over South Alabama. Bognar, pictured left, put away 20 kills with only 2 errors in Samford’s win at the Marriott Invitational. In Berkeley California, the Cal Bears got out of the gate playing in the Molten Classic. Class of 2013 Setter Alyssa Jensen dished out a whopping 57 assists in the Bears 5 set win over UC Riverside. NCAA DII and DIII get started this weekend with everyone else continuing their preseason schedules as well. There will be plenty of action to watch across the ESPN networks, PAC 12 Network, BIG 10 Network, Longhorn Network and the SEC Network. Look for our alums among all the great volleyball action!! !